Every business has to determine whether they should perform a service themselves (in-house with staff) or outsource that particular service to an outside vendor. Digital Marketing is a service that can be performed either in-house or outsourced to a vendor. As technology and this whole world are constantly in the fast lane, it becomes a bigger problem and question for companies who want to survive. Outsourced services do not require payroll taxes, unemployment insurance, benefits or vacation time. Outsourced services are hired for a specific task and time period without requiring the complex process of hiring and firing employees. 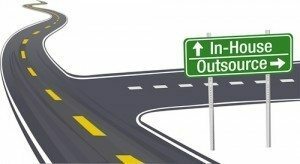 Outsourcing eliminates the ongoing cost of maintaining an employee’s work environment and supplies. Outsourcing via the web allows companies to tap into expertise located anywhere in the world. Omnibeat handles your Digital Marketing so your brand message is consistent and relationships with your customers are maintained.